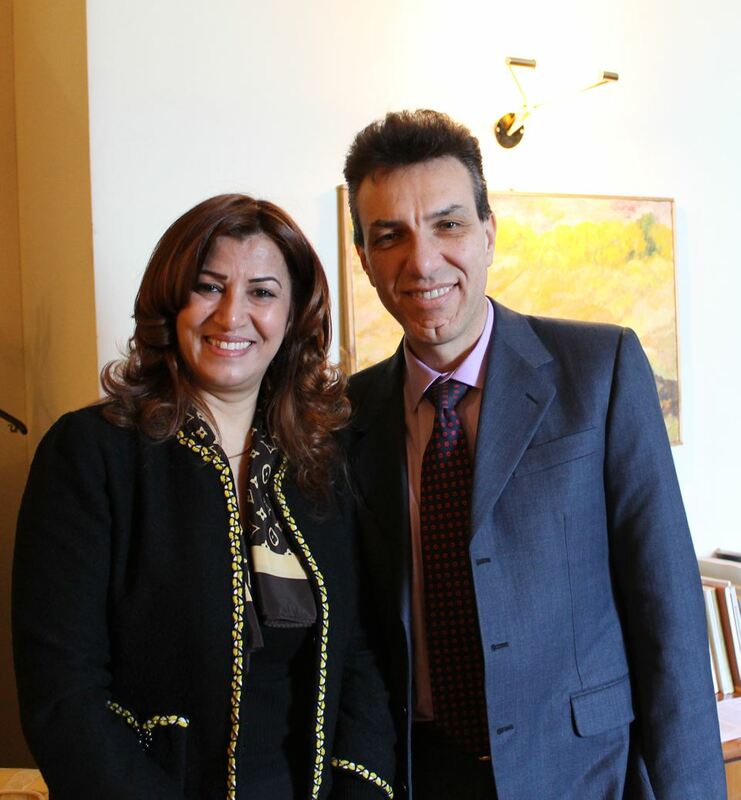 Today, Mrs. Kader met the Deputy Director General and Principal Director for the Mediterranean and Middle East, Min. Pl. Giuseppe Perrone at the Ministry of Foreign Affairs. The talks focused on the situation in the Kurdistan region, the fight against Daesh, the humanitarian crisis and the emergency for reconstruction of areas and cities destroyed by the terrorists and freed from the peshmerga forces. In particular, the areas most affected are the city of Shingal and the Plain of Nineveh area, mainly inhabited by Christians. In view of the enormous difficulties that the Kurdistan Region is facing and the lack of support from the central government, which is so determined not to send the budget for the regional government, the High Representative underlined that the situation has become unsustainable and it requires a strong support at the international level. This crisis is becoming a harbinger of social tensions within the country and is exacerbating the phenomenon of migration towards Europe. Minister Perrone reiterated the strong commitment of the Italian government towards the Kurdistan Region, the fight against Daesh, the humanitarian crisis and the normalization of relations with the central government in Baghdad. Moreover, it was formed a Stabilization Fund managed by Germany, of which Italy joins, which is specifically aimed at moving resources quickly to the liberated areas most in need. Through the Directorate of Development Cooperation will then plan ways to provide additional support to the Kurdistan Regional Government. At the moment, the priority is, however, to repair the Mosul dam and defend it. The Italian company Trevi and the Italian soldiers, sent on site, will deal with this emergency.